As people age, they begin to experience some physical and mental effects, as the body and brain grow older and undergo physiological changes. At some point or another, most seniors eventually find themselves needing some extra help on a day-to-day basis. Physical health problems can make it hard to do chores and other things around the house. 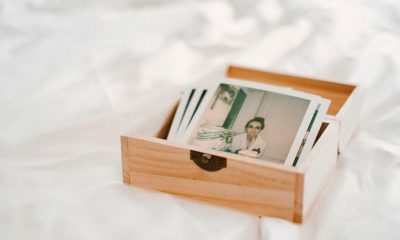 Memory loss and problems with cognition can make it hard to manage things like appointments and bills on your own. At this point, it makes sense to start looking into senior living facilities. These come in several forms, depending on how much care and assistance you actually need. They range from residential housing developments that are restricted to people 55+ — basically buying a house in a neighborhood with other seniors, often with amenities like community centers — to skilled nursing facilities that provide around-the-clock medical care. In between are a lot of assisted living facilities, where seniors can get assistance they need while still maintaining as much independence as they can comfortably handle. This balance of assistance to independence is important because the sense of personal independence is important for a person’s happiness and psychological health. There are many great senior living facilities out there, but as with anything, there are some rotten apples in the barrel, too. If you’re looking into senior living options — for yourself, or for an aging parent — it’s important to know about potential red flags, and about what you should look for overall. We recommend touring a handful of options before making a final decision. Different senior living facilities cater to different groups of people. Some are aimed at seniors who only need a little bit of assistance, while others cater to people with physical disabilities who need skilled nursing care. There are also senior living centers that cater specifically to seniors with memory loss due to Alzheimer’s and other forms of dementia. Here are a few basic tips for finding the best fit for your needs and your budget. Location is important. It’s important for residents to be close to friends and family, so they can visit often. Ask around for references. Word of mouth is one of the best ways to get an idea of the quality of a senior living facility. Ask around to see if anyone has any recommendations. Use online resources to find facilities with good ratings from certifying agencies. Medicare’s online Nursing Home Compare tool is a good place to start with this. Ask administrators or staff about how they create care plans for each resident. Find out what their procedures are like, and find out what kinds of services they do or do not offer. Take tours of the facilities that seem like a good fit. Taking a tour is one of the best ways to get an idea of its quality. It can also tip you off if there are any problems, which we’ll outline below. When you tour a nursing home or senior living center, it’s important to keep an eye out for certain red flags. These red flags indicate a substandard quality of care, meaning it may not be a good choice for you or a loved one. There are certifying agencies that rate nursing homes, and you can find out if the facility has been cited on any former violations. However, sometimes formerly quality senior living homes are sold off or change management, and the quality changes as a result. Here some things you can look for as you tour various options to find the best fit. When you’re taking a tour of the facility, does it seem quiet and calm, or loud and chaotic? Too much noise and commotion can agitate residents, especially those with more severe disabilities like Alzheimer’s and other forms of dementia. The atmosphere should seem calm and inviting. For senior living centers, staffing is important. There needs to be enough staff members available at any one time, and the facility also needs to have people with the right qualifications. Here are some of the questions you should ask about any facility you’re considering for yourself or a loved one. What’s the staff to resident ratio? 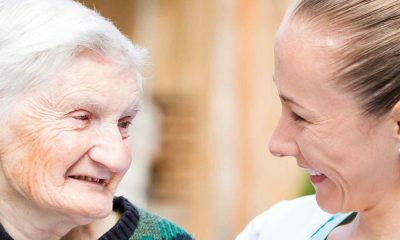 Is it adequate, relative to how much assistance a typical resident needs on a day-to-day basis? Are the staff kind and courteous to residents? Are they respectful? Do residents feel comfortable asking them for help? Do administrators and nursing staff seem to know the residents well? For functions for which they don’t have in-house staff — this can include things like psychiatry or physical therapy — do they contract out? Do they keep at least one licensed social worker on staff? While you tour the facility, do you see staff actively helping residents? You also shouldn’t be afraid to ask questions about staff turnover. How frequently do they hire new staff members? How long do these people generally stay? What are their common reasons for leaving? If representatives avoid or deflect these questions, that can be a red flag. Some staff turnover is to be expected, but unusually high turnover is usually a sign of dysfunction within a company. It could mean that they don’t pay enough to attract skilled workers for very long, or that there are more serious problems that leave their employees ethically conflicted about continuing to work there. Cleanliness and sanitation are another important factor to keep in mind when you’re evaluating senior living facilities. Seniors may have weakened immune systems due to medical problems, and can be susceptible to getting sick if they’re living somewhere that isn’t clean and sanitary. One thing to keep an eye out for — or a nose — is odor. Now, this doesn’t always mean anything dire. Spills happen, and many facilities that provide a higher level of care may have residents struggling with incontinence. Smelling something in a small, limited area isn’t necessarily a red flag, just a sign that staff is about to clean up and help the resident, if needed. But if you notice unpleasant odors throughout the facility, that might be a negative sign. Keep an eye out for dirty dishes lying around, visible dust and grime on surfaces, overflowing trash cans, or dirty and visibly unwashed linens. Has the facility ever been cited on a violation by a regulatory or rating agency? If so, did things change afterward? Did they take steps to correct the problem, like firing offending staff or changing their rules and procedures? Is there any pattern of repeated types of violations? 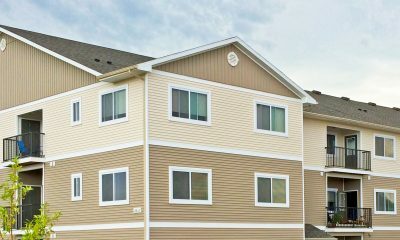 Different residents will be able to handle different levels of independence. 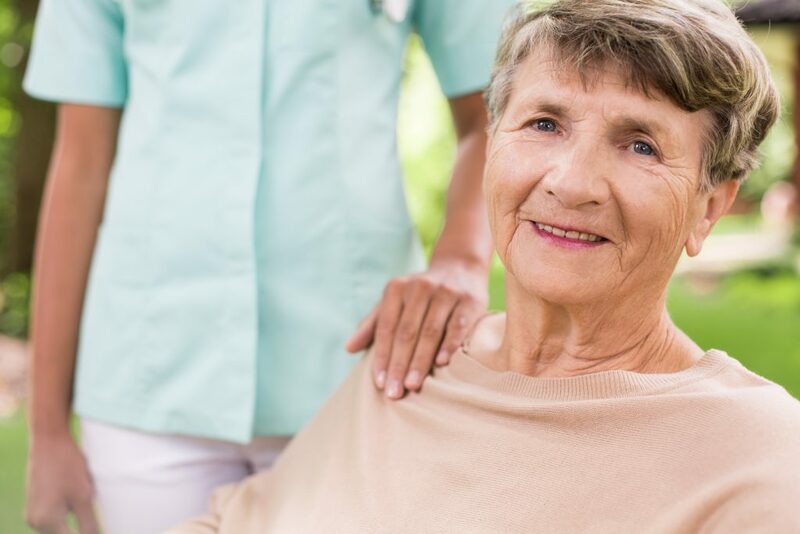 Some facilities cater to relatively independent seniors who just need a little assistance here and there, while others provide skilled nursing care for people with more significant disabilities. Either way, it’s important that seniors are afforded an appropriate level of independence. If seniors are denied that sense of independence and agency, it can leave them feeling depressed and helpless — which can trigger or exacerbate medical issues like mood disorders. Look at online reviews for nursing homes and senior living centers that you’re considering. Are they good? If they’re kind of middling, what sorts of problems do people report having with them? Sometimes, one bad review can make a disproportionate difference if a business only has a handful of reviews total, so look at the number of reviews as well as the total average rating. Are staff and administrators willing to answer questions clearly about their pricing structure and fees? If they’re avoidant or deflective, this can mean that they have a lot of “hidden fees” designed to milk more money out of their residents. Intuition is a real thing. If you have a “bad feeling” about a facility you’ve visited, you may want to go with your gut and strike it off the list. What Should I Do If I Suspect Serious Problems? If touring a facility leaves you with a really bad impression — or if you or a relative have had an alarmingly bad experience — there are things you can do to help the residents if serious abuse is occurring. Neglect. Elder neglect is sadly more common than it should be in nursing homes and similar facilities. It includes things like lack of basic hygiene, lack of food and proper nutrition, lack of access to medical aids like walkers and glasses, or lack of supervision for patients with advanced dementia. Financial abuse. Financial elder abuse is when someone — a facility, a relative, or anyone else — takes advantage of a senior’s vulnerability to get money out of them. 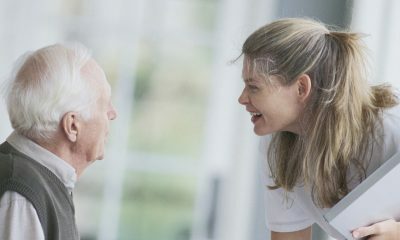 In the context of nursing homes, this can involve overcharging for necessary amenities, talking mentally impaired and vulnerable seniors into “voluntarily” overpaying for things, or otherwise taking inappropriate control of the senior’s personal finances. Psychological abuse. This can involve keeping an elder isolated from people that care about them, being verbally demeaning, and being inappropriately controlling. Physical abuse. Signs of possible physical abuse include unexplained bruises, fractures, and other injuries sustained by residents. In the United States, you can visit the NCEA (National Center of Elder Abuse) here to find regulatory agencies near you, to which you can report the suspected abuse.